Home » News » Smartphones » Smathphones » Sony » Sony Xperia GX and Xperia SX launched !!! Sony announced the launch of two new phones, as part of their Xperia line-up of smartphones. The first one, the Xperia GX, comes with a 4.6-inch HD resolution screen, along with a 13MP camera and full HD video recording. Building on the design success of Xperia Arc, Xperia GX incorporates a matte texture and slim line body, which fits well into the consumer’s palm or pocket. 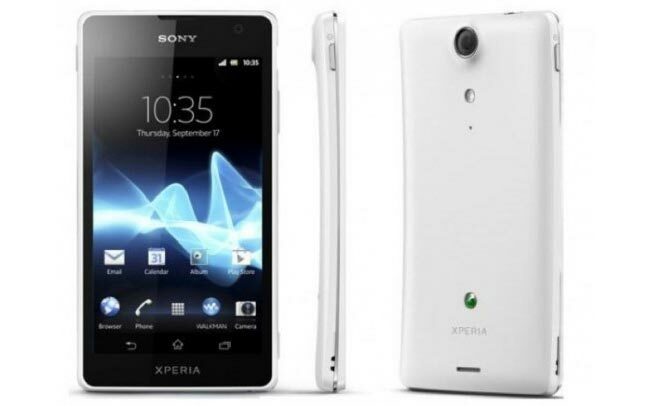 The second one is the Xperia SX that aims to combine a sleek and simplistic design with high functionality. The Xperia SX is the world’s lightest LTE smartphone weighing only 95 grams. World’s lightest LTE smartphone, weighing 95g. 3.7 inch Reality Display with Mobile BRAVIA Engine. Three new applications have been introduced as well. The “WALKMAN” application integrates high quality audio technologies, such as clear stereo, clear bass, VPT surround sound, manual equalizer and xLOUD. The “Album” application brings intuitive ways to sort and browse high quality photos and videos at high speed, as well as providing instant viewing, commenting and sharing of photos on Facebook and other online albums, leveraging the camera capabilities of the Xperia GX and Xperia SX. The “Movies” application streamlines the playback and viewing of movies in high quality audio and video with intelligent database search to discover more info about the movie for a more immersive experience. Both the Android smartphones, the Xperia GX and Xperia SX will be available in the Japanese market from summer 2012. Availability or pricing for a worldwide release or the Indian sub-region hasn’t been announced yet.